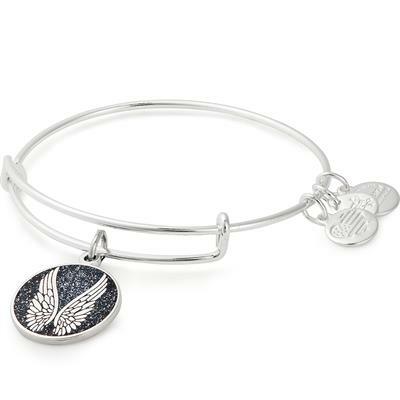 This sparkling shiny silver wire wrap bangle by Alex and Ani features a disc charm with an angel wings design. This represents a guardian angel, who comes to our aid and guides us when we need it most. This makes this bangle the perfect gift for a family member or loved one. Wear this bangle alone or as a stack, to add fun and glamour to any outfit!